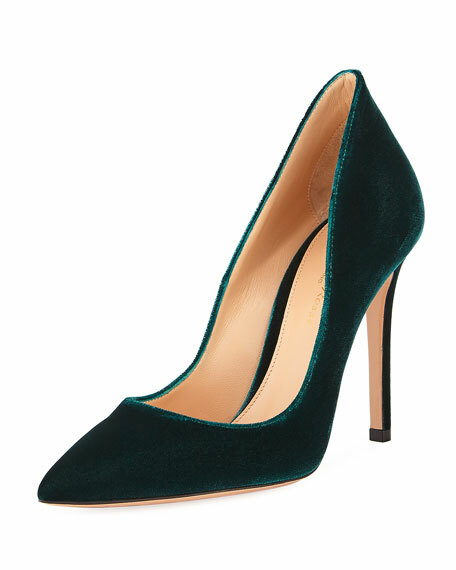 Manolo Blahnik satin mule pump. "Metellus" is made in Italy. For in-store inquiries, use sku #2105700. Christian Louboutin shiny patent leather pump. 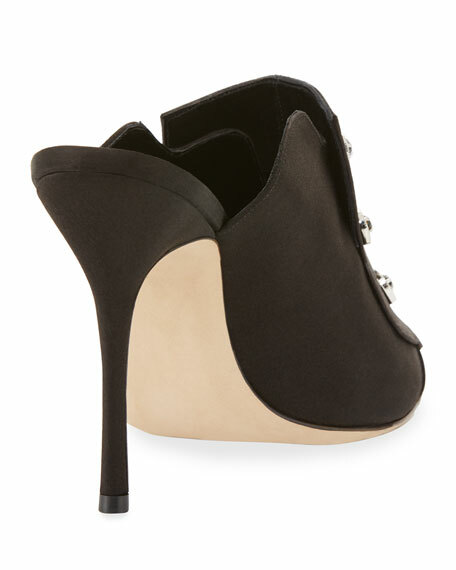 4.8" stiletto heel. Pointed toe. Low-dipped collar. Tonal topstitching. Signature red leather outsole. "So Kate" is made in Italy.